I bring you two “meals” this week – neither of which I cooked. There is much satisfaction to be had in artfully arranging croissants on a plate and then calling it a day. The meals in question hail from Mylène Gilbert-Dumas’ Les Deux Saisons de Faubourg, set in the Faubourg St. Jean-Baptiste neighbourhood of Québec city. Adélaïde lives with her daughter, Marjolaine, on the second floor of a triplex. Accounting clerk turned chocolatière, Adelaïde is very careful with her money. Once a week she allows herself a treat: one café au lait on the way home from work. Here, in this café, she cuts out her coupons and writes out her weekly shopping list in accordance with said coupons. The pleasure of small things on a smaller budget. 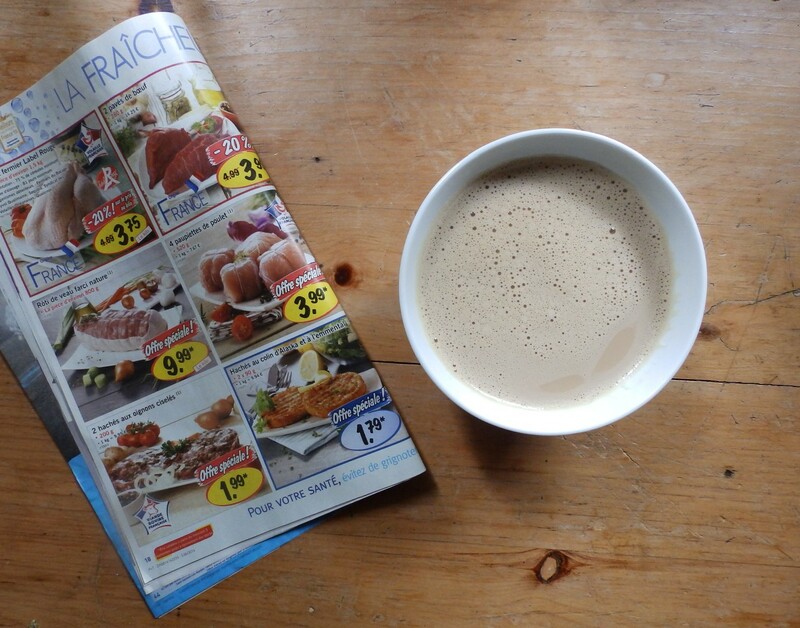 My café au lait equivalents have varied over the years, from industrial egg salad sandwiches on white bread (un pur délice for which I can offer no explanation) to a certain peanut-filled chocolate bar to chaussons aux pommes. When Adèle and Marjo acquire a new roommate, Sean, meals are no longer a meagre affair. Sean treats them to croissants and fruits rouges, in December no less. Wishing you café au lait and coupons and strawberries in December. Gilbert-Dumas, Mylène. Les Deux Saisons de Faubourg. Montreal: vlb editeur, 2013. 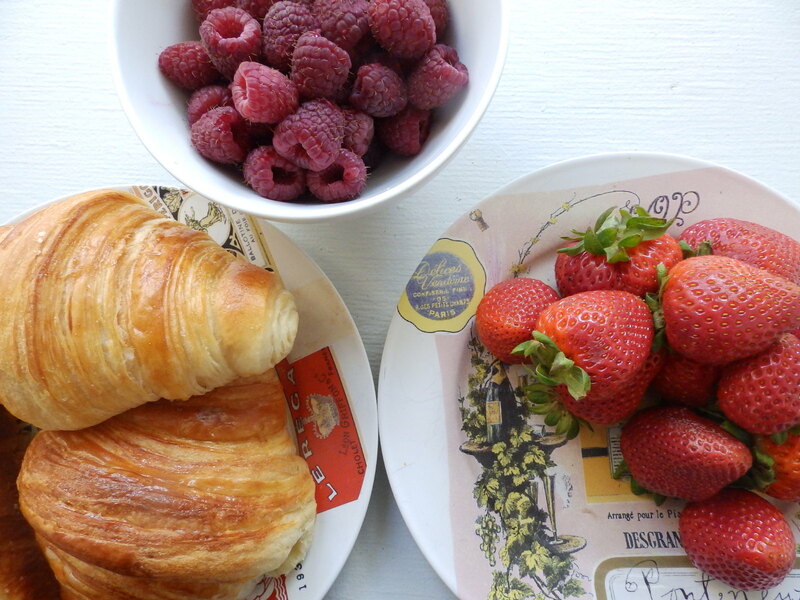 This entry was posted in The Tableaux Blog and tagged Cafe au Lait, Croissants, Faubourg St.Jean-Baptiste, Les Deux Saisons de Faubourg, Mylene Gilbert-Dumas, Quebec City, Raspberries, Strawberries. Bookmark the permalink.